Book your accommodation now and benefit from our amazing prices. We guarantee an easy, simple stress-free search! Whoever you are, whatever you’re looking for - it all starts here! A large choice: There’s something for every taste and budget. Excellent value for money: Quality accommodation at fantastic prices. 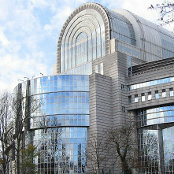 The word Bruxelles is usually used for the city of Brussels, which is administered by the Brussels-Capital Region. Consequently, the city is the capital of Belgium and the location of the country’s government. The region itself has over 1.1 million inhabitants and is one of the three federal regions of Belgium, the other two being Wallonia and Flanders. It is modelled after London and is divided into 19 communitities, which are subject to the authority of the region. The most central district, which has kept the name of ”Ville de Bruxelles”, commonly known as Brussels-City, comprises the historical nucleus of the city (called the Pentagon) and a series of urban extensions, like the boroughs of Haren, Neder-Over-Heembeek and Laeken, as well as the maritime district. Brussels is one of the greenest capitals in Europe, with over 8,000 hectares of parkland. It is also a member of the Organization of World Heritage Cities. Besides its various monuments, both ancient and modern, the city offers many points of interest. Belgian cinema, especially in Brussels, is charactarised by a very high standard of documentary films and because of this, one often refers to the ”Belgian documentary school”. The Cinematek cinematography museum, established in 1938, offers a number of significant exhibits to do with the field. The city has also produced a number of well known figures, including the singer and actor Jacques Brel, actrice Audrey Hepburn and Hollywood actor Jean-Claude Van Damme. The Thalys trains link Brussels to Paris, Amsterdam and Cologne, while the classic TGV offers connections to cities in the south of France, wuch as Bordeaux, Lyon, Marseille, etc. The city is also linked to London via Eurostar. The S.T.I.B. tramways make up a dense public transport and in several points throughout the city are linked with the railway and metro lines. Brussels airport has excellent train and bus connections with the city centre and the Charleroi Bruxelles-Sud airport, specialising in budget airlines, is also reachable by bus shuttles. During the 19th and 20th centuries, the history of Brussels shows that the city transformed from an almost exclusively Flemmish-speaking city into a fully bilingual one. 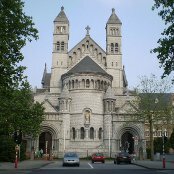 Although historically Brussels' inhabitants spoke a dialect of Dutch called Brabantian, the linguistic situation of the city has changed dramatically over the last two. Alongside the immigration from France and Wallonia, the progression of French can be explained primarily by the linguistic conversion of the Dutch-speaking population throughout the generations. The reason for this was that Dutch was not considered a language of culture within Belgian society, supported at the time by the undeniable attraction of French as a language of high society and of all international trade. The real large-scale gallicization of the population, however, did not take place until the second half of the 19th century. From 1880 onwards, there was a marked increase in bilingual speakers, much to the detriment of monolingual Dutch-speakers. Starting from the 1960s, following the establishment of the language barrier and the rapid socio-economical development of the Flemish region, the gallicisation of the Dutch-speakers appeared to stagnate. In 2010, however, a detailed study revealed that the percentage of Dutch-speakers in the city has fallen to only 5.3%. The history of Brussels overlaps with many of events that took place in Western Europe and in 1979 the city itself has celebrated its official thousand years anniversary. There have also been discovered various Roman ruins in 2 of the city's central districts, Anderlecht et Saint-Josse-ten-Noode. It was, however, only in the 7th century that the city made an appearance in a history, by way of a chronicle, revealing that in 695, the bishop Vindicien de Cambrai, having fallen ill, had to make a stop in Brosella. It is there that in 979 Charles de France would set up the seat of his duchy, on an island on ther river Senne. It was this political landmark that has served as a starting point and a point of reference when it came to choosing the city's date of birth.